Celebrate the release of the new 2016 Virginia Vineyard Shiraz, Cabernet, Merlot with a cheeky mid-week evening out. The Primo team are coming up to town to host four casual evening offering you the chance to try our new 2016 Virginia Vineyard Shiraz, Cabernet Merlot accompanied by Italian barbecue. Visit our events page to see the full list of our events for 2017. Join our Amici Primo mailing list to receive exclusive event invitations and notifications when tickets go on sale. Be the first to taste the new 2016 vintage of The Venetian Garganega made by Primo Estate's owner and winemaker Joe Grilli in the Veneto region of Northern Italy. Join us for a relaxed long table lunch bringing a taste of Venice to the heart of McLaren Vale. A series of exclusive pre-release dinners for members of our JOSEPH Double Pruners Club. Primo Estate's owner and winemaker Joe Grilli will pour his 2015 JOSEPH Moda, Angel Gully and Nebbiolo for the very first time at these very special evenings. JOSEPH Double Pruners and their guest enjoy these evenings with our compliments and tickets are not for general sale, just one of the many benefits of becoming a JOSEPH Double Pruner. 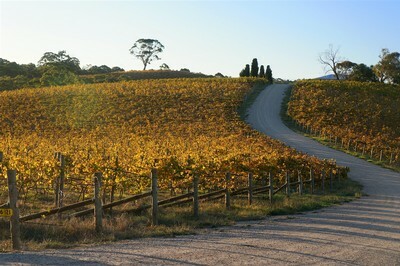 Treat your mother to a long relaxed wine lunch this mother's day in our beatiful McLaren Vale cellar door. Join us for a traditional Italian celebration of the new season's olive harvest. Be the first to try the new 2017 JOSEPH First Run Extra Virgin Olive Oil straight from the press at this delicious feast of olive oil rich Italian cuisine. Cold winter days call for rich red wines and hearty food. Join us for a seasonal feast at McLaren Vale's most stylish cellar door as we pour our newly released JOSEPH red wines for the first time, perfectly accompanied by a specially created wood oven menu. Treat dad to a relaxed winery lunch this father's day as we celebrate the release of the new 2017 JOSEPH Cold Pressed Extra Virgin Olive Oil straight from the press. Celebrate the arrival of the first green buds of spring in the vineyard with this traditional Italian wood oven feast perfectly paired with a selection of our newly released wines. A great way to enjoy a cellar door lunch in McLaren Vale's beautiful wine country. Our Italy vs Australia taste test returns as we celebrate the arrival of our new vintage of 2016 Primo & Co The Tuscan Shiraz Sangiovese all the way from Italy. Enjoy delicious wood oven pizza at this relaxed long table lunch. Tickets go on sale six weeks before the event - please join our Amici Primo mailing list to receive email notification of future events.